Sift flour, sugar, baking powder and salt in to a medium mixing bowl. Stir in oatmeal. In a separate bowl, combine milk and egg and whisk until well combined. 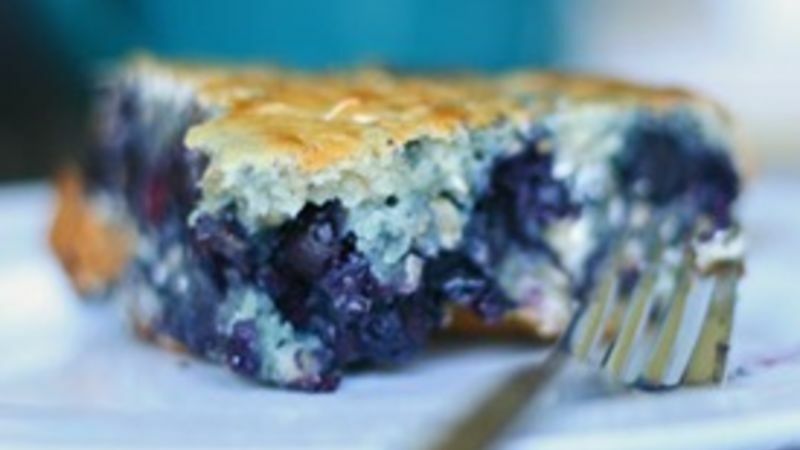 Stir the milk mixture into the flour mixture until combined, then add the blueberries, stirring to incorporate. Pour mixture into a 9-inch round non-stick baking dish. Bake 30-35 minutes, until the top is golden and the cake is cooked through. Remove from oven and let cool for at least 10 minutes before turning onto a cooling rack. Chill in the fridge, until ready to eat. I recommend chilling overnight.